JAKARTA, Indonesia — Campaigners are calling for the closure of Indonesian animal markets touted as tourist attractions where dogs are bludgeoned by the thousands and blow-torched alive. One of the markets on the island of Sulawesi, known as Tomohon Extreme Market, was previously listed on TripAdvisor as a top attraction until animal welfare groups complained. Local tour operators and officials continue to promote the markets as destinations. The welfare groups say the treatment of animals at Tomohon and another market in North Sulawesi province that sells dog meat was "brutally cruel" and like "walking through hell." Videos shot by the campaigners at the two markets in December show dogs cowering in cages as workers pull the howling animals out and bludgeon their heads with wooden batons while visitors to the market, some with children, watch. Often still moving, the animals are then blasted with blowtorches to remove their hair in preparation for butchering and sale. 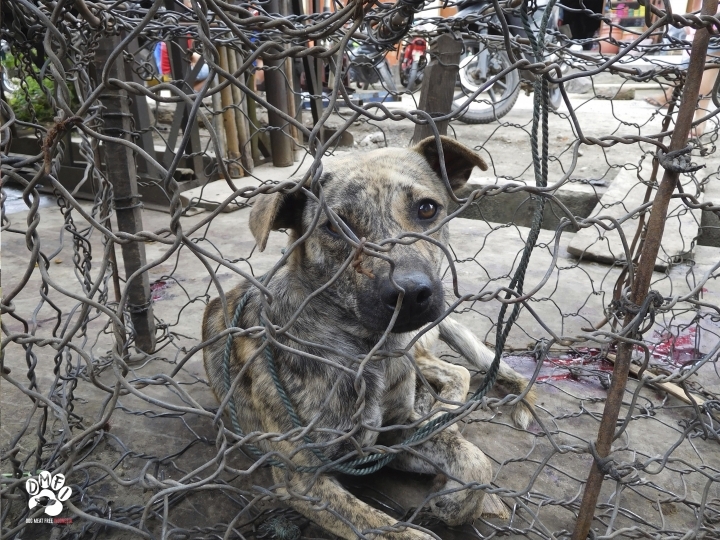 The coalition of three Indonesia-based groups and Humane Society International said sale of dog meat should be stopped on grounds of animal welfare and public health because of the possibility of rabies transmission. 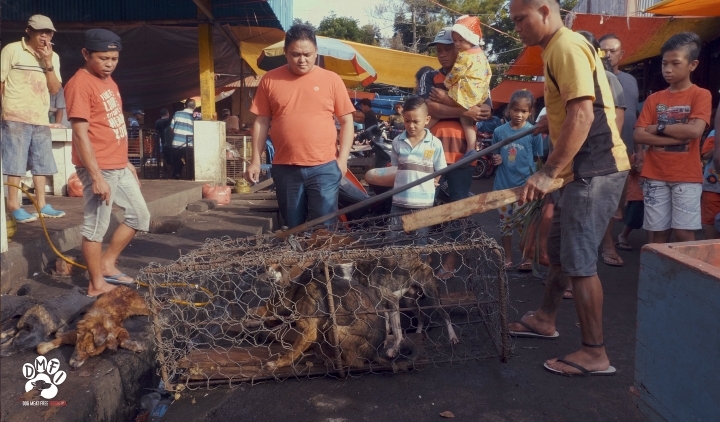 North Sulawesi officials have refused to meet the campaigners, they said, and they're now calling on the central government to ban the markets, which also sell cat meat and the carcasses of wild and protected species such as bats, snakes and other reptiles. Lola Webber, a founder of Change For Animals Foundation, said Wednesday she had visited live animal markets around the world but was shocked by the extent of cruelty in Sulawesi's markets and its transformation into entertainment. "There's a sense of showmanship by the workers and traders," she said. 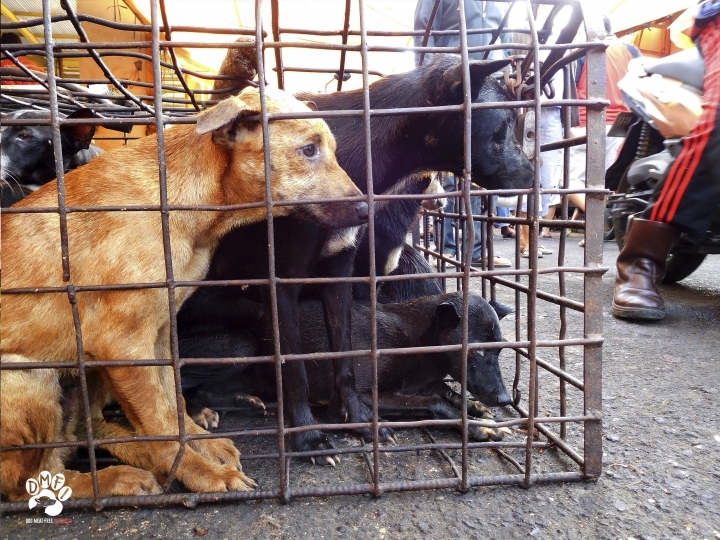 North Sulawesi's animal markets slaughter thousands of dogs weekly, most of which are imported from other provinces in Indonesia, according to the anti-dog meat groups.